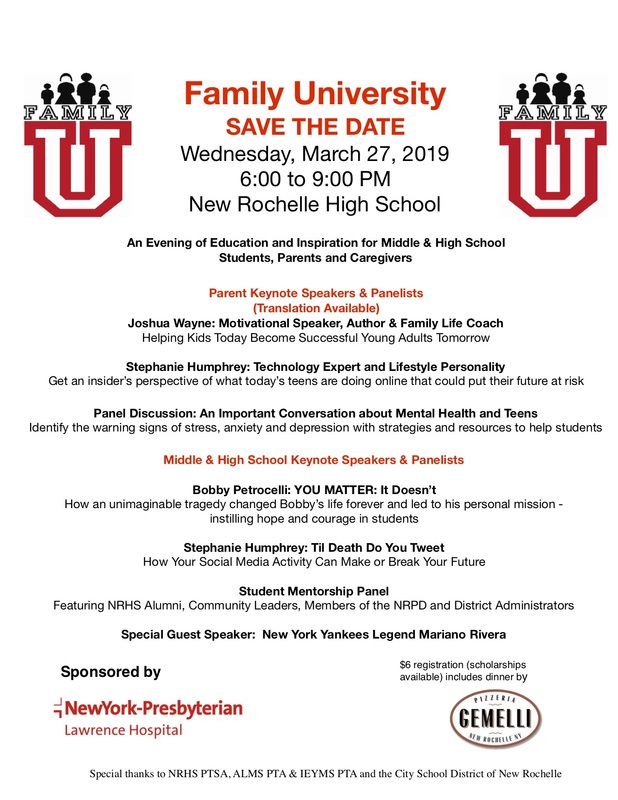 The New Rochelle High School PTSA is inviting students, parents and caregivers to Family University next Wednesday, March 27th from 6:00pm to 9:00pm. 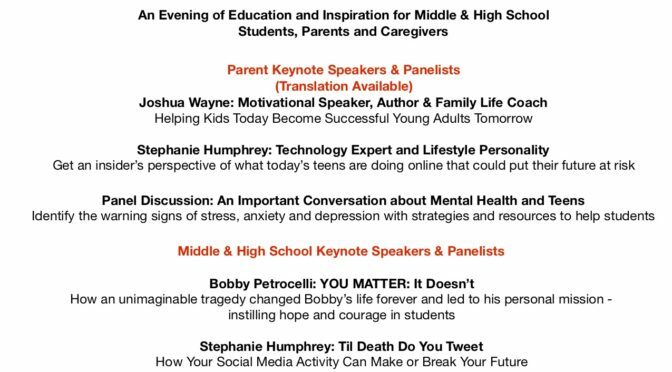 This event is part of an ongoing effort to educate and inform middle and high school students, as well as parents and caregivers, on important mental health and social media issues affecting young people. Learn more in this press release or this flyer.